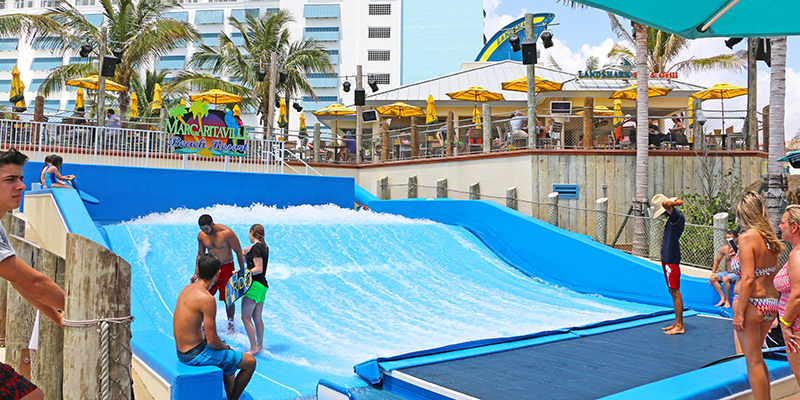 The brand new Margaritaville Beach Resort wanted to include an iconic attraction that would generate increased revenues while complementing the resort brand. 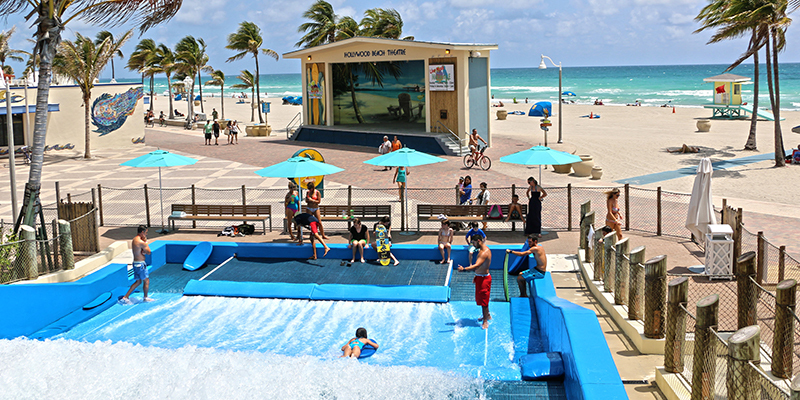 Chosen for their unique ability to plan and design great venues while also supplying industry leading equipment, ADG developed a site plan taking advantage of the boardwalk foot traffic and supplied/installed the FlowRider® Double and its related engineering needs. ADG developed the conceptual design and layout for the new attraction focusing their efforts on creating a customized ride queue that would aid the operator in efficiently managing two ride entrances: one for use by guests of the hotel, and the other for walk-up public guest use. 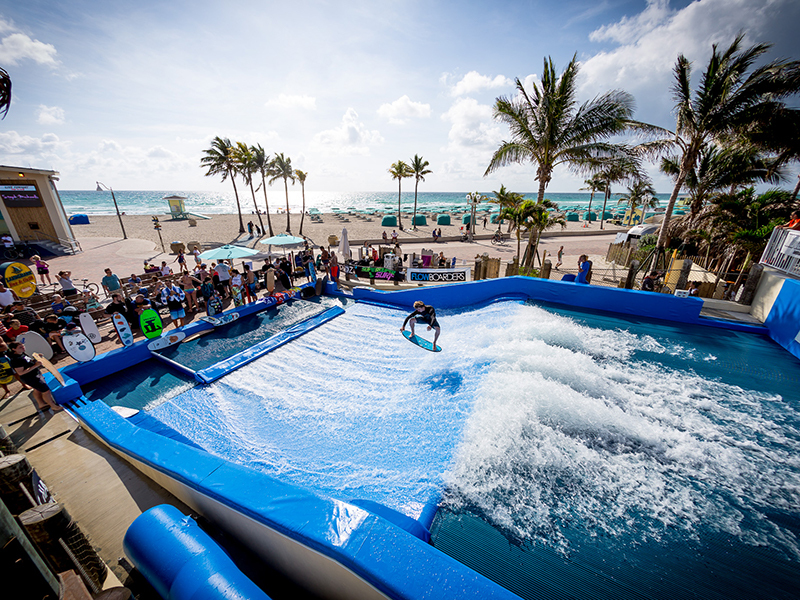 Using 58,400 gallons of water, the FlowRider® Double can be adjusted to accommodate up to two riders at a time offering guests the opportunity to experience one of the most sought after simulated surfing experiences in the world. 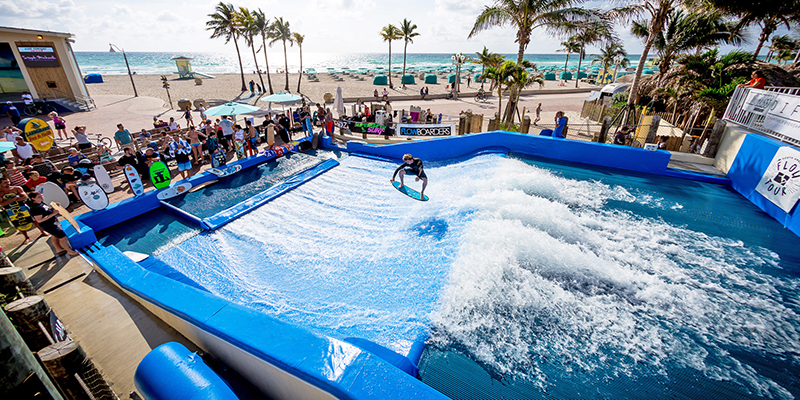 Immediately upon opening the FlowRider® has generated a lot of visual attention for the new Margaritaville property along the popular Hollywood boardwalk. 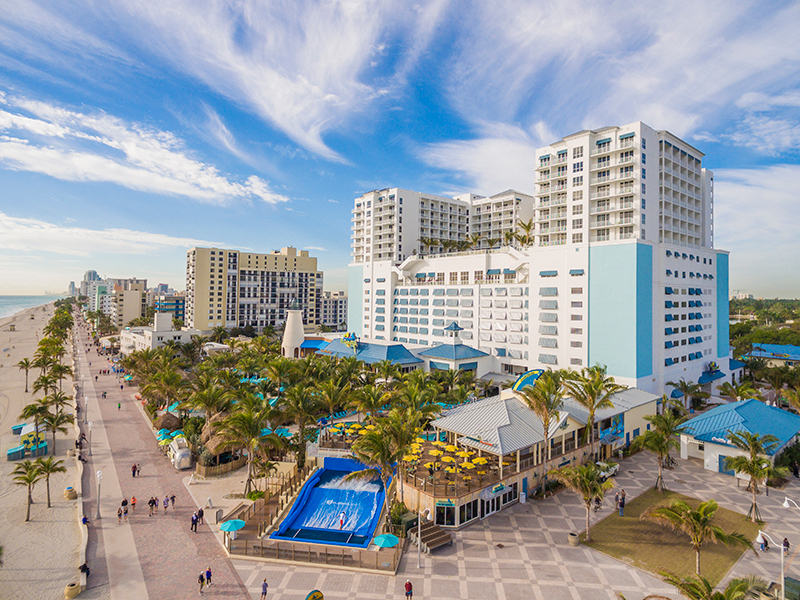 Reactions from guests and passersby alike have been extremely positive right from the start, with all indicators pointing towards a very positive return on investment.